We are now back in Lisbon with time and space to reflect on the excellent #winelover trip to Jerez to celebrate the 4th anniversary of the group's founding. Time to list the highlights in chronological order of our busy programme during which we tasted and drank many excellent Sherries. This was fun and very good to meet up with old friends and meet new #winelovers. To enjoy a Cava before moving onto more serious wines – a wonderfully fresh Tio Pepe and the Río Viejo from Lustau. Beltrán is one of the great figures of Jerez and his introductory talk on the wines of Jerez was excellently concise and clear. This was a brilliant visit and very professionally organised, from the visit to vineyard with José Manuel Arana, the viticultural manager, to the tasting of the Las Palmas range with Antonio Flores, their Sherry Blender. We also enjoyed a very good lunch starring a main dish of oxtail. 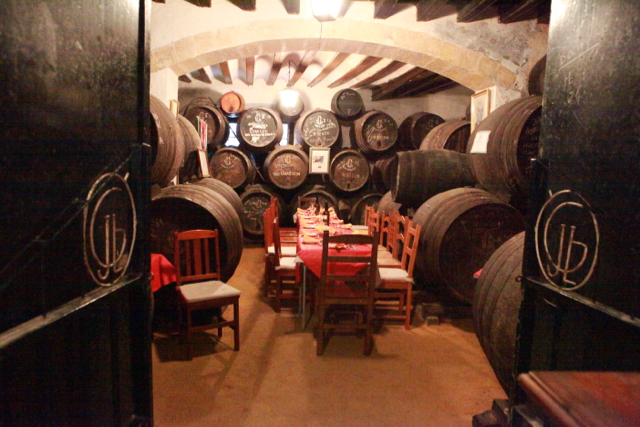 We were treated to a detailed explanation of Amontillado by Sherry Master Manuel Lozano followed by a magical dinner in the impressive Bodega la Emperatriz wonderfully accompanied by guitar maestro – Miguel Salado. This was another very good visit learning about what makes the wines from Sanlúcar de Barrameda different from those of Jerez – in essence the bodegas' close proximity to the Atlantic Ocean. Montse Molina, their oenologist, and Armando Guerra, in charge of special projects, led us through the wines. At the end of the visit we enjoyed some wonderfully modern and delicious tapas. 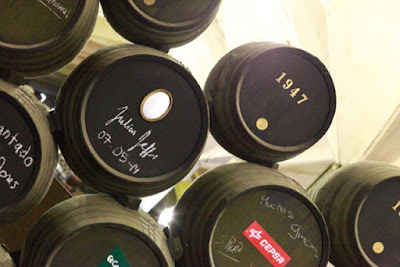 Another highlight with a guided visit led by Salvador Real, the oenologist, and a tasting of some excellent and very reasonably priced Sherries – so good that we brought some back with us to Lisbon. Another very enjoyable dinner. This was a delightful visit to a family bodega - Juan Carlos Gutiérrez Colosía (owner & sherry blender), Carmen Pou (owner) and their daughter Carmen Gutiérrez Pou - in El Puerto de Santa Maria with some brilliant Sherries. If we hadn't already bought from Zuleta, we would have been sorely tempted to buy here. It was great to enjoy a traditional lunch with hearty dishes at Manuel González' very atmospheric bodega. 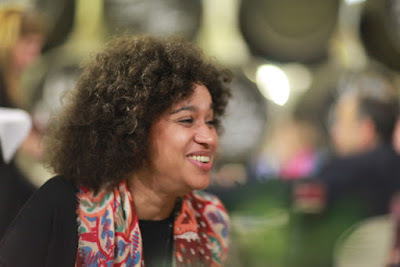 This tasting of single vintage Sherries, presented by Paola Medina, proved to be quite controversial with some #winelovers finding them unattractive. Several years back I tasted a similar experiment with George Sandeman at the Sandeman Bodega. I think these single vintage Sherries are interesting but will surely always be a small niche but one that is interesting to the adventurous wine-maker. I particularly enjoyed the 2012 and 2001 Añadas. 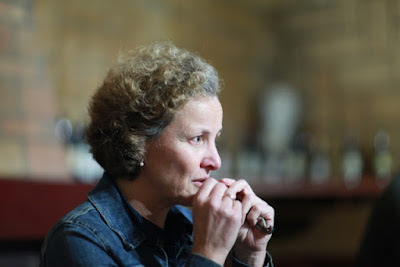 It was good to meet two female winemakers: Montse Molina, oenologist at Barbadillo, and Paola Medina, oenologist at Williams & Humbert. Due to needing to spend more time with his timber business, co-founder Luiz Alberto handed over his responsibilities to Magnus Reuterdahl at the end of our BYOB event (13th February 2016). Magnus has been promoted to King with Ted Lelekas, who has organised the #winelover 4th annual celebrations in Athens, as prime minister. I understand that a board of directors will be appointed, so the #winelover group is becoming more formalised. 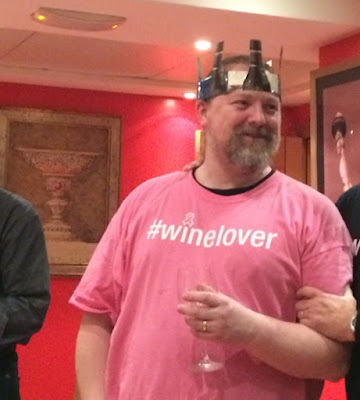 Note to King Magnus – for the next #winelover trip we need name tags so we can remember who we are! 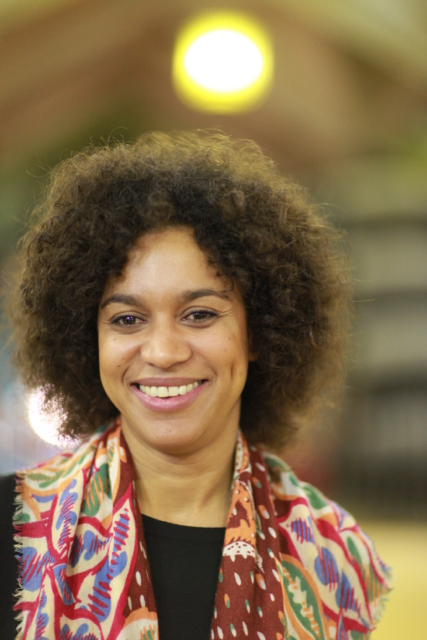 Many thanks to Valeska and Fernando for organising everything so well! What is the #winelover community? It was founded in February 2012 by Luiz Alberto and André Ribeirinho some four years ago. This Facebook group has now grown to just over 20,000 members. The criteria to join is simple – to love wine. Events (#winelover hangouts) are organised so members can meet up and share wine and usually good food as well as have trips to wine regions. Every year on the anniversary of the group's foundation there is a celebration in a wine region. In 2013 it was Umbria, followed by Friuli in 2014, Lisbon in 2015 and Jerez this last week. The 2016 celebrations haven't finished as there is also a celebratory trip in Greece now in progress. 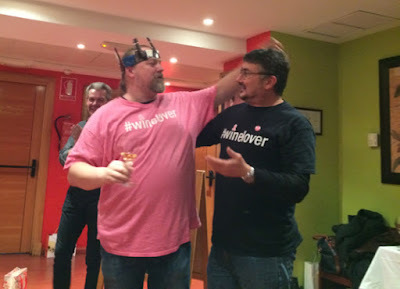 The #winelover group (#winelovers against cancer) campaigns to raise money to fight cancer. 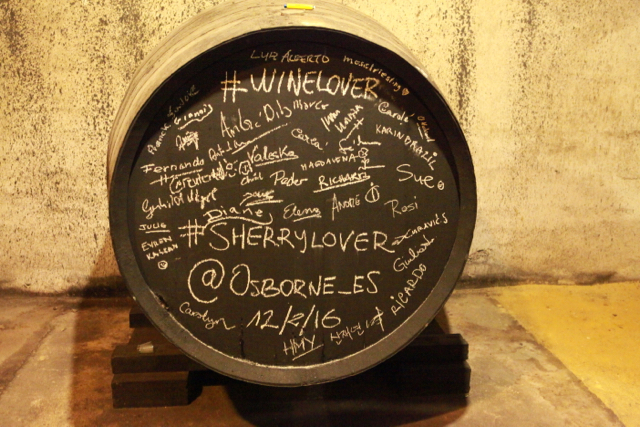 The #winelover group and its success is a product of our times as the group would not exist if there was no social media.